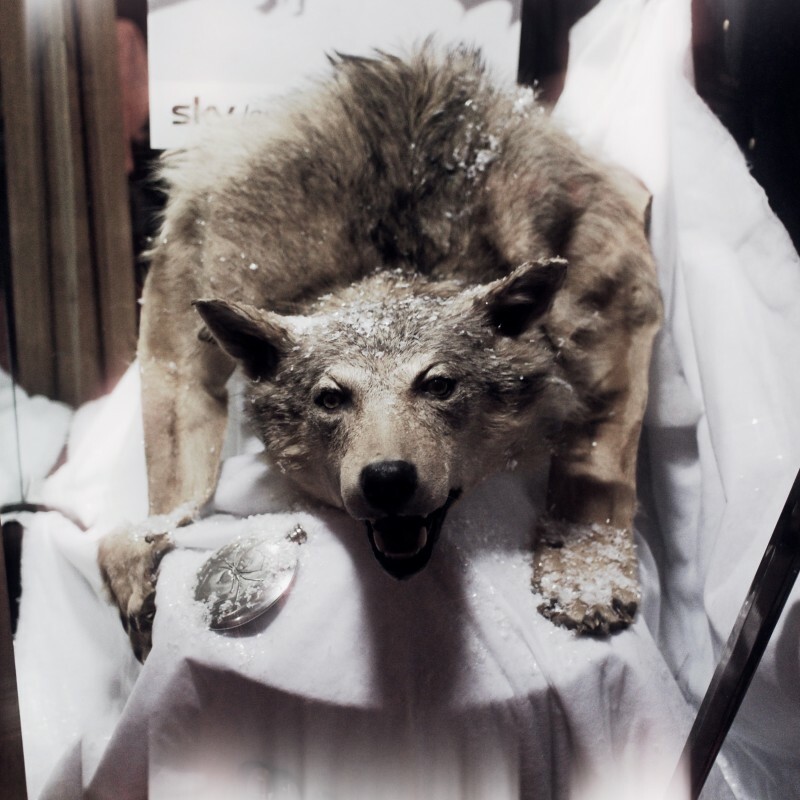 Jon Snow joining the Night's Watch in Game of Thrones. 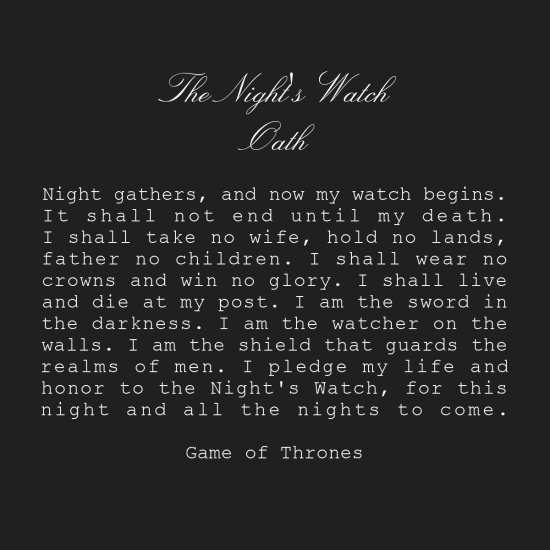 Hi, The Night's Watch is a military order in Game of Thrones, which protects the Seven Kingdoms from the mysterious forces lying beyond the Northern Wall. 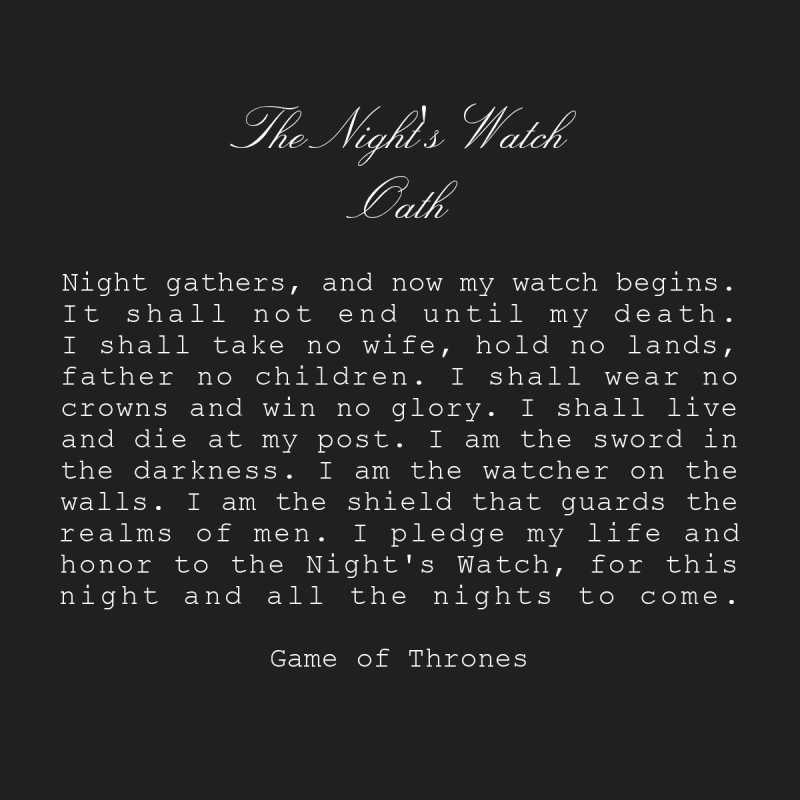 In episode 8 of season 1 Jon Snow and his friend Sam joined the Night's Watch by reciting this vow.